The Business, Tax and Real Estate Law team at Pickrel, Schaeffer and Ebeling understands that sound legal advice and proactive strategic planning are essential elements to succeeding in the world of business. Our Business Law attorneys have extensive experience handling the complicated issues facing today’s businesses. We offer a full range of services to a sole proprietorship, partnerships, limited liability companies, and corporations (profit and non-profit) that conduct business locally, nationally and internationally. We will work with you to understand your unique business. Together we will develop innovative and proactive strategies that will provide suggestions about how to minimize risks, capitalize on opportunities and also identify opportunities for saving and growth. While our Business Law team specifically focuses on Business, Tax & Real Estate issues, we work together as a team to give you the combined strength of over twenty attorneys. 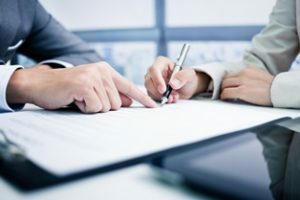 The law firm of Pickrel, Schaeffer and Ebeling can assist you with Employment Law concerns, Litigation issues such as contract disputes and Business Succession Planning.